Islam is a religion of peace and understanding. It teaches compassion and respect. However, the way it has been practiced by Islamist radicals is absolutely different and not what this religion conveys. 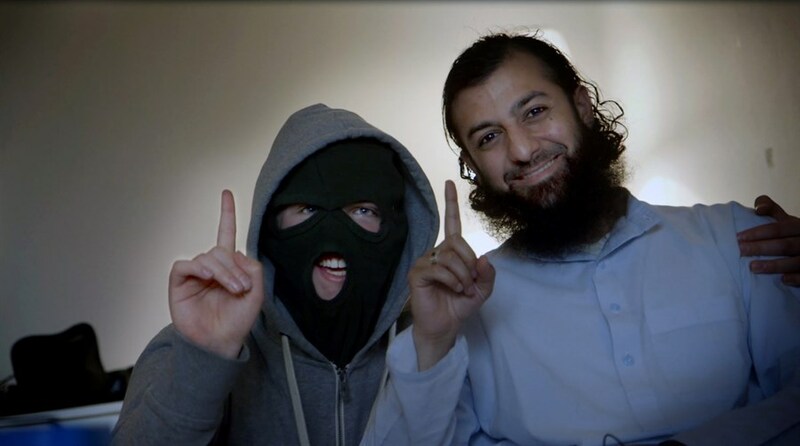 In Adel Khan Farooq and Ulrik Imtiaz Rolfsen’s RECRUITING FOR JIHAD, you will see the view and practices of Hussain, the way he recruits new followers and his technique teaching newbies radical Islamism and the purpose of having jihad. As you can realize from the title of this docufilm, RECRUTIING FOR JIHAD will give you an access that you probably never gained before. As you will, and I am sure, get angry with every second passing, the filmmaker will introduce himself to you and will take you back two years before the actual story or the idea that made him to embark on such a dangerous journey. As we learn from Adil Khan Farooq, his parents were from Pakistan, the same as Hussain’s parents, but now both of them live in Norway. Norway appears to provide free education and health care, which in Pakistan cannot be taken for granted. But as you follow Hussain and his followers, you see having all those benefits does not make any difference, until they turn Europe into an Islamic country. The first twenty minutes of this movie was too hard for me to watch. And I am sure anyone who has common sense will have the same feelings. But that has nothing to do with the filmmaking, but rather what you hear on the screen, the justification of killing innocent people and why should only one religion exist, and that is Islam. RECRUITING FOR JIHAD is a film that will certainly help you to realize that religion or Islam has nothing to do with extremism, but rather it’s just driven by people who want to gain any type of power possible. In this movie, despite having such a charismatic and friendly character as Hussain, through his friendliness or anyone you will see on the screen, you will smell the danger that comes with anything they try to propose. The ideology the documentary subjects of this film try to push forward is something should be hidden from our silver screen. But since it did not happen, so be aware and have an open mind before you start watching it.